ioTium is the first commercially deployed Software-Defined Converged Infrastructure company for the IIoT. Headquartered in Silicon Valley and funded by GE Ventures, Honeywell Ventures, Juniper Ventures, JC2 Ventures, Hanna Ventures, March Capital Partners and the Fabric, ioTium is the company of choice for Fortune 500 organizations looking to enable secure, scalable IIoT deployment today. ioTium bridges the legacy brown-field world with the new cloud-enabled world. The company's offerings have been deployed in leading building automation, energy, oil and gas, and manufacturing organizations. ioTium solutions include the groundbreaking ioTium OT-Net; ioTium OT-Access; and the ioTium OT-Edge converged infrastructure solution. The company's solutions ensure that any machine, using any protocol, can be instantly, seamlessly and securely connected to any application residing in any cloud or data center through any network infrastructure and operator; while eliminating deployment complexity issues and minimizing network security risks. For more information, visit: http://www.iotium.io. IF you have any question about the San Francisco contest , Please contact the following partner. A successful entrepreneur-turned-investor, Ajay co-founded Pinnacle Systems, which he grew from his living room into a global, multibillion-dollar company that won an Emmy award and traded on NASDAQ. He joined Trinity in 2006 and invests in consumer and business applications and services. Built on 25+ years of experience and segment expertise in high-tech, Rakesh has spent the past 16 years successfully growing companies as an investor, advisor, and a partner. His strengths in setting up new operations, launching new funds, and identifying innovative opportunities have resulted in unprecedented growth in his companies. Chief technology officer for NTT DATA Services. 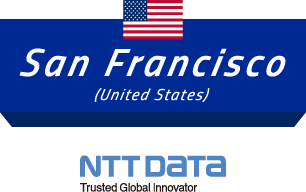 Kris leads NTT DATA Services’ client innovation programs, which includes leveraging NTT Group R&D and related investments to enhance service delivery and business outcomes. Kris has about 40 years of progressive experience in the IT sector, spanning various industries. Sweta Mepani is responsible for driving our top priorities and leading strategic initiatives. She has more than 20 years of diversified entrepreneurial and enterprise experience in IT Services and Consulting. Her global experience spans several industries including Financial Services, Insurance, Public Sector, Manufacturing and Pharmaceuticals. She has held senior leadership positions with Keane, Inc., Vistaprint and KPMG. David Lee is chief sales officer with responsibility for sales strategies across diverse channels, overall sales processes and results and mentoring world-class teams for sales and sales support. He was previously president of NTT DATA Services’ International Business, with general management responsibility for the business outside of the United States and Canada. Before joining NTT DATA Services in 2015, David was chief sales officer at Dell Services, and prior to that, he was chief sales officer of Hewlett Packard Enterprise Services. Arvind Sodhani is founder and managing partner of Silver Trail Ventures, a Silicon Valley-based global technology venture fund. Previously, Sodhani was executive vice president of Intel Corp. and president of Intel Capital, one of the largest technology venture capital firms. Under his leadership, Intel Capital grew into an acclaimed Tier 1 VC, investing in more than 500 technology startups and ranking No. 1 in exits among top VCs in PitchBook, with 300 exits between 2005 and 2015. Earlier, Sodhani held other leadership roles at Intel Corp., including treasurer and head of mergers and acquisitions. He also worked in Intel's offices in Belgium and Argentina. He has served on the boards of Nasdaq and Smart Technologies Inc. In 2015 he received the Lifetime Achievement Award from Global Corporate Venturing and in 2014 topped its Powerlist 100. Sodhani also produces wine at Sodhani Vineyards in St. Helena, in California's Napa Valley. He holds an M.S. from the University of London and an M.B.A. from the University of Michigan. Eric Clark is Chief Digital Officer focused on advancing digital-first and cloud-first agendas for NTT DATA Services and our clients. As a key contributor and spokesperson for NTT DATA Services, Eric is often called upon to deliver his insights to clients, media and analysts on topics such as the development and execution of strategy and operations for digital transformation, cloud, mobility, internet of things and security.